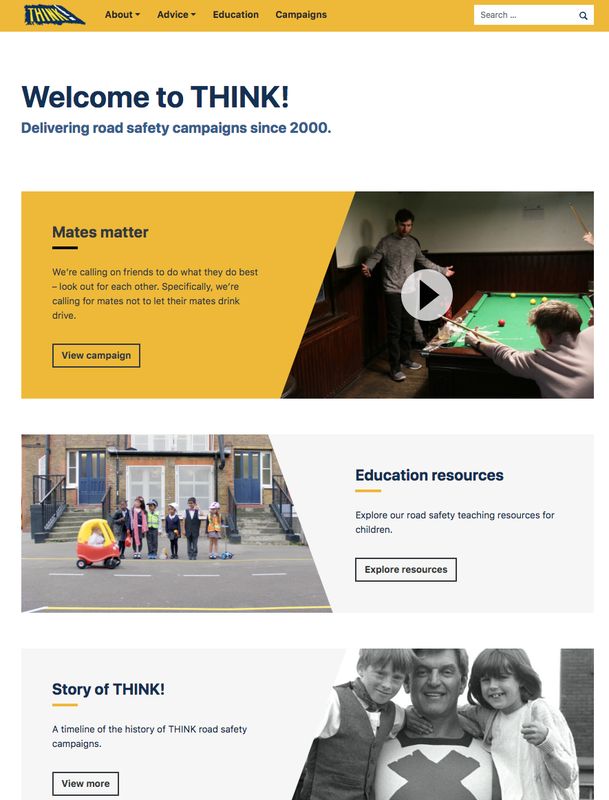 The UK Government has been running road safety campaigns for 75 years. DfT's THINK! 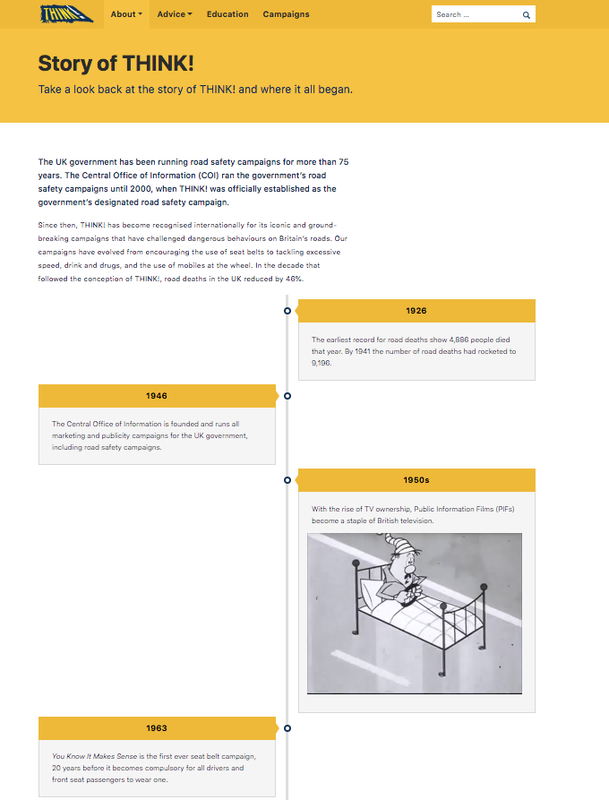 was established in 2000 and has become recognised internationally for its iconic campaigns that have challenged dangerous behaviours on Britain’s roads. 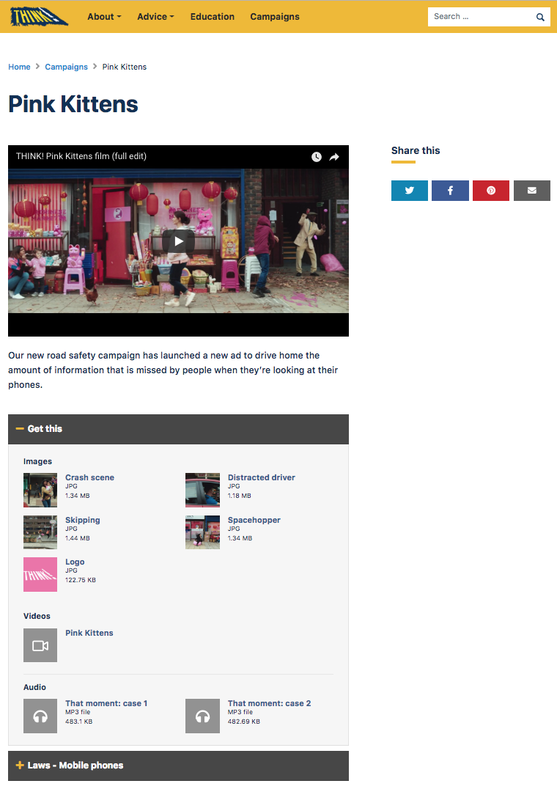 However, the website was dated, unresponsive and not fit for current user and stakeholder needs. 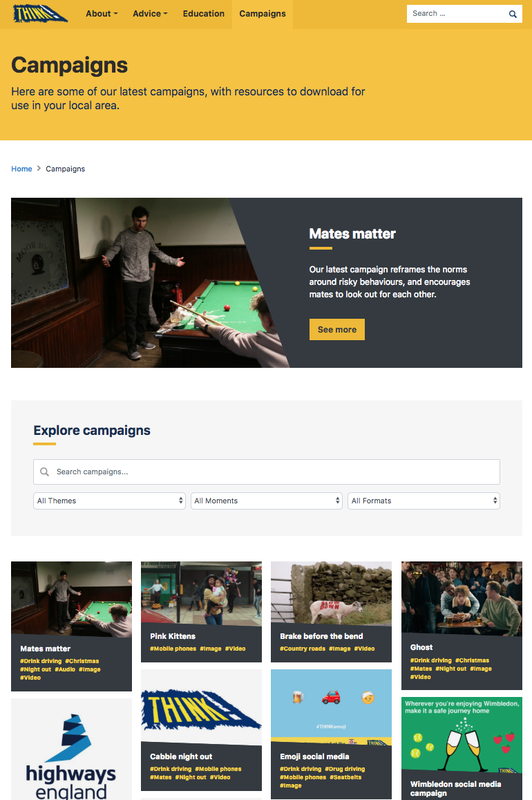 There was no clear consistency between the original campaign site and the newer education resources site. The new THINK! 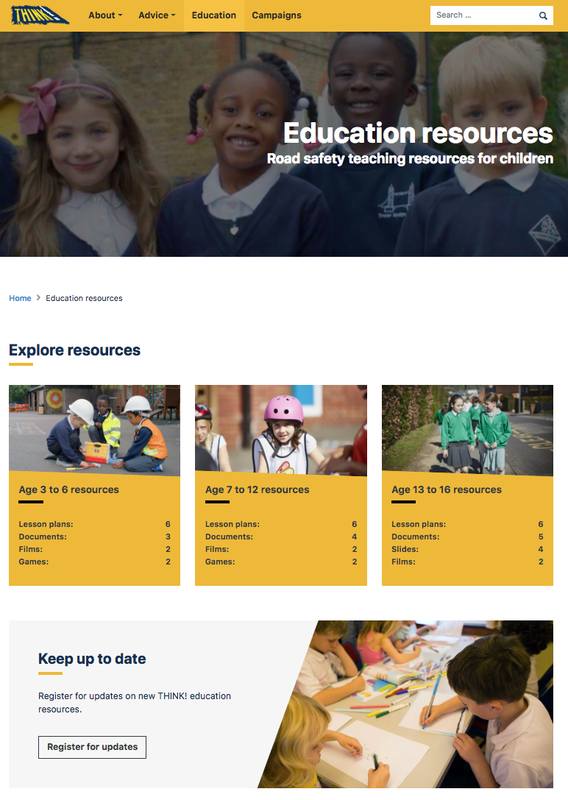 campaign website was an opportunity to deliver an appealing site which better meets the user needs of the teacher & Road Safety Officer audiences, while supporting the client to manage the online element more efficiently. 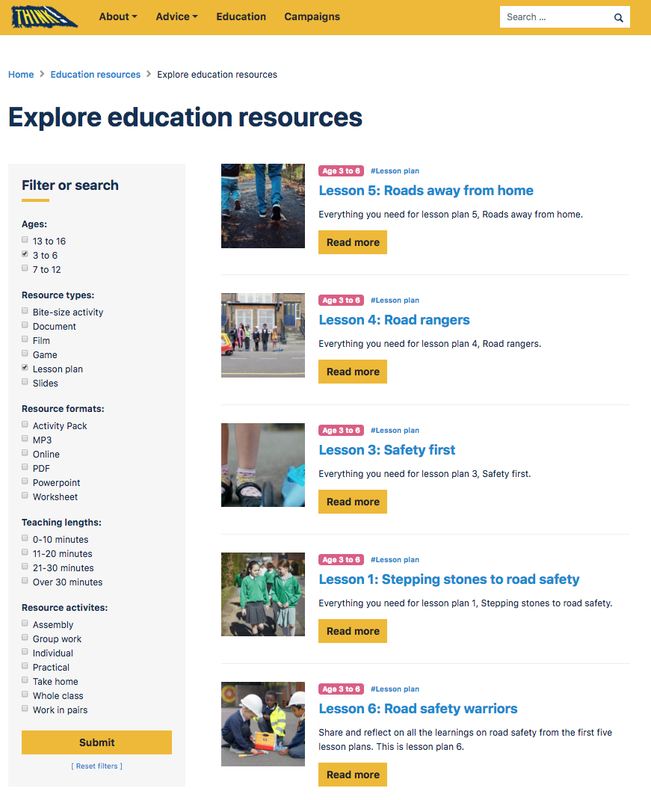 We introduced a refreshed, consistent look and feel with flexible templates for different content types (resources, campaigns, advice etc) and related content to improve user engagement. 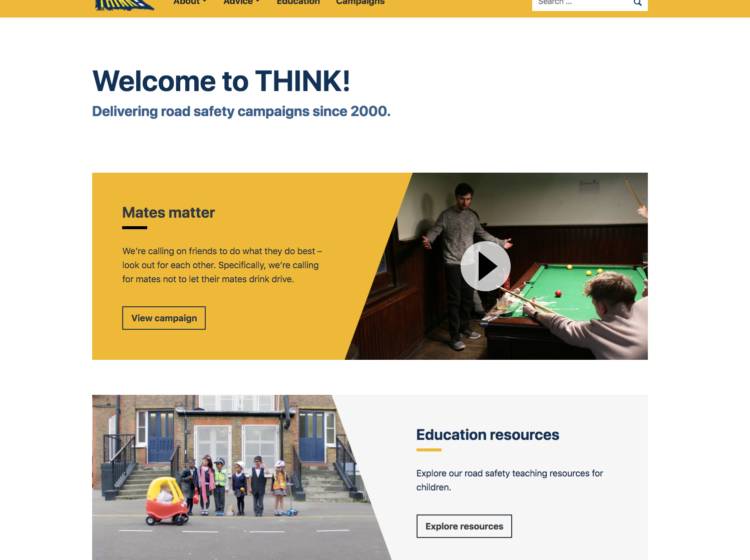 Users are able to view and download teaching resources and campaigns, view the history of THINK campaign videos dating back nearly 70 years and read road safety advice and laws in an engaging and responsive format. 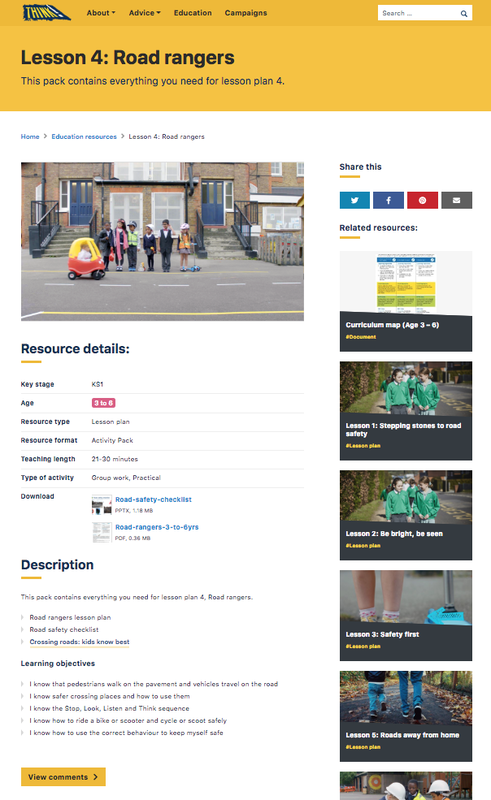 The education site launched in just 6 weeks, incorporating the new look and feel with the rest of the THINK! site the following year.